We have a new member of the SCJ family! We are pleased to welcome Savannah State University, which created a new SCJ chapter this semester. On April 11, the new chapter held its first induction ceremony, initiating 12 founding members. 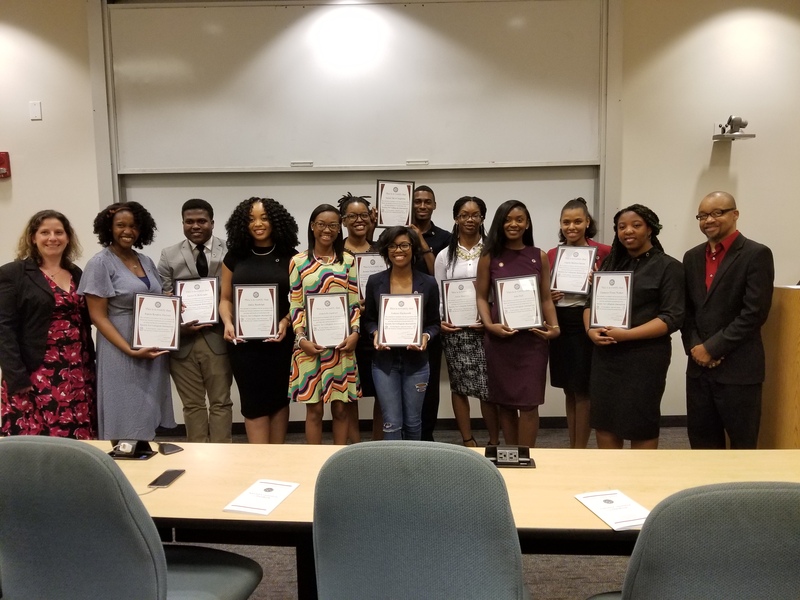 Eleven of the 12 founding members of the new Savannah State University SCJ chapter with advisers Jessica Sparks and William Martin. Thank you to adviser Jessica Sparks for sharing this good news and photo!